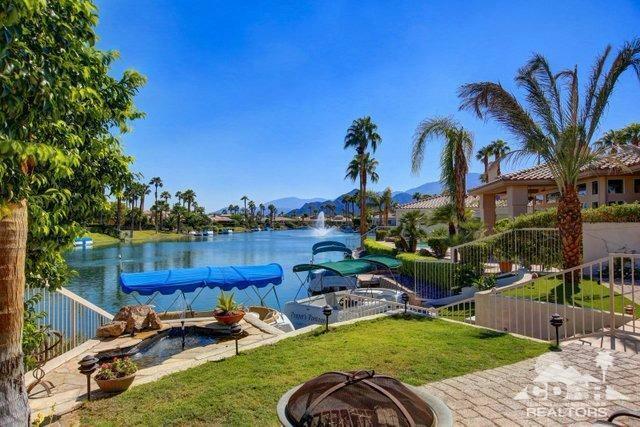 Enjoy the lifestyle at Lake La Quinta in this fabulous home with awesome lake/mountain views. 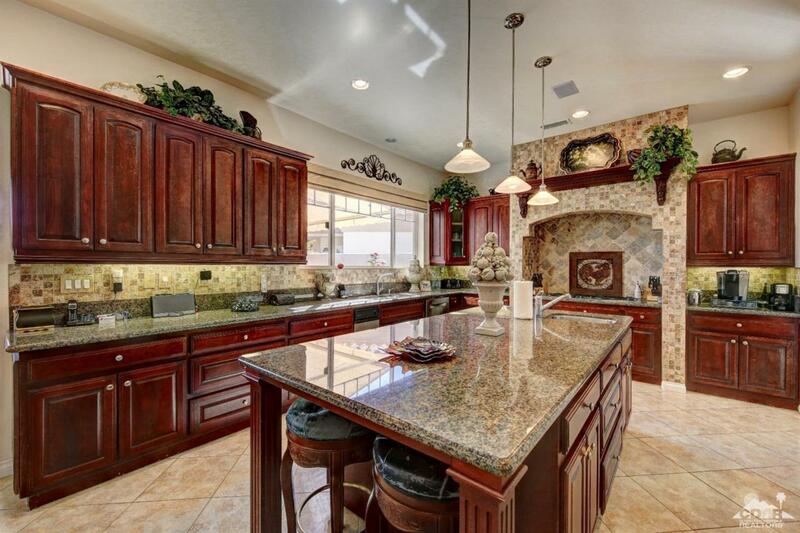 Gorgeous interior boasts an expansive chef's kitchen with oversized island, stainless Jennair and Bosch appliances, slab granite, walk in pantry, dual kitchen sinks, plus a wet bar. 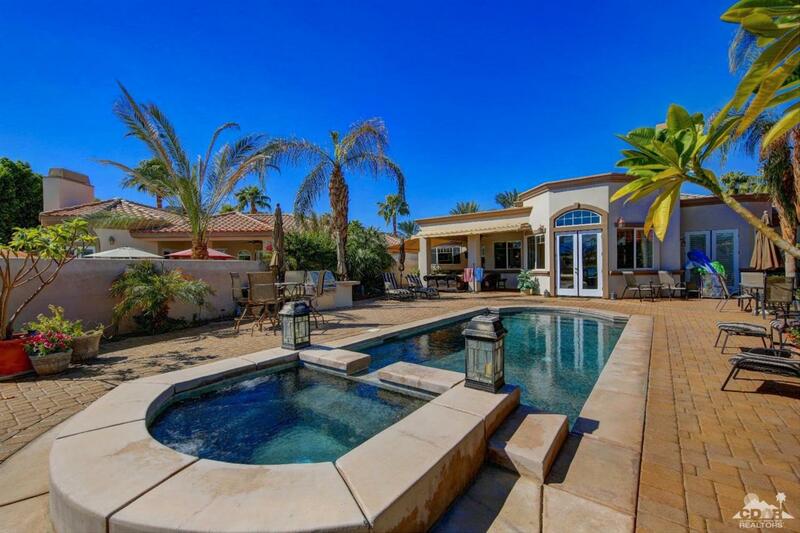 The open living area makes this spacious home an entertainers dream.The master bdrm has a sitting area with French doors to pool/patio, lavish spa bath, 2 ensuite guest bdrms plus den. Owner has purchase new living room and dining room furniture that is included on Inventory List. Wonderful privacy with home set back to relax on the covered patio with retractable awnings,TV and BBQ island. Guarded community-25 acre lake, tennis courts, lap pool, large park, private docks and adjacent boutique hotel and restaurant. Low HOA dues incl. cable and trash. This is truly a desert dream home. Sq. footage is apprx. 3300 due to permitted remodel. Listing provided courtesy of Katherine Doucette of Hk Lane Real Estate.